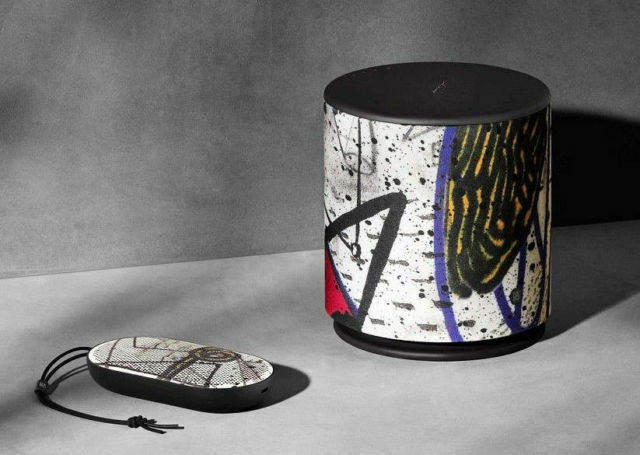 A Bang & Olufsen special edition speaker collection unveiled, with artwork by director, screenwriter, actor, artist and musician David Lynch. The collection features selected images and details from the “War Between the Shapes” series, works on paper created by the iconic artist in the 1970s and from the “Paris Suite” lithographs created in 2007 at the renowned Idem studio. The launch of the special edition speaker collection marks the continued collaboration between Bang & Olufsen and David Lynch, a self-proclaimed long-time patron of the company.